Honored for Excellence in Telecommunications in Marquis Who’s Who, April, 2018. Click here for more information. Received the 2008 Dean’s Recognition Award in the Jess and Mildred Fisher College of Science and Mathematics, Towson University, 2008. Acknowledged by Thomson Scientific as a Highly Cited Researcher, June 2001-2006. Acknowledged individuals comprise less than one-half of one percent of all publishing researchers. For more information, see the 2001 Highly Cited Researcher list here. Elected to Fellow grade, Institute of Electrical and Electronic Engineers (IEEE), January 2006. 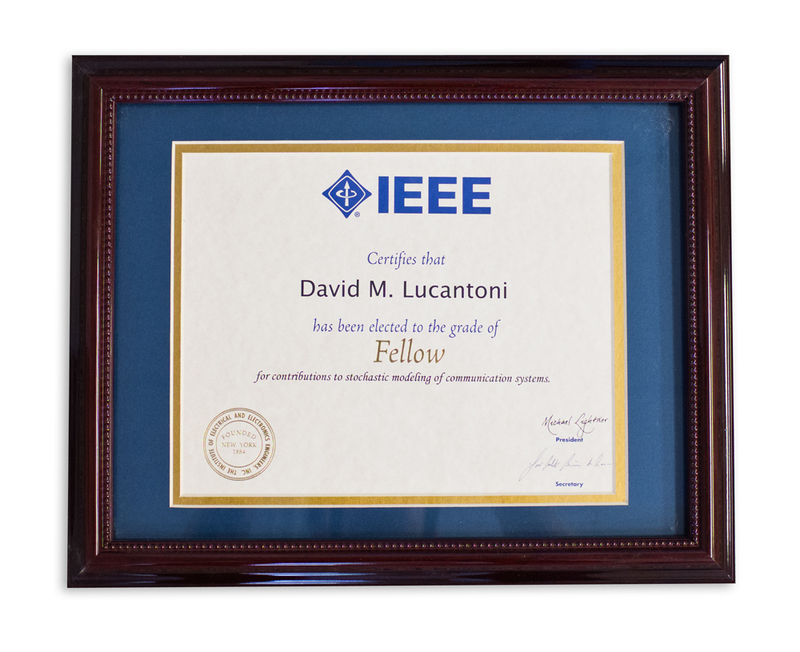 The citation reads, “For contributions to stochastic modeling of communication systems.” Each year, only one-tenth of one percent of the (400,000+) voting members of the IEEE are allowed to be elected to the grade of Fellow. Click here for background information. Received the 2000 Lucent Patent Recognition Award for patents that were “of Significant Importance to Lucent Technologies’ Commercial Success. 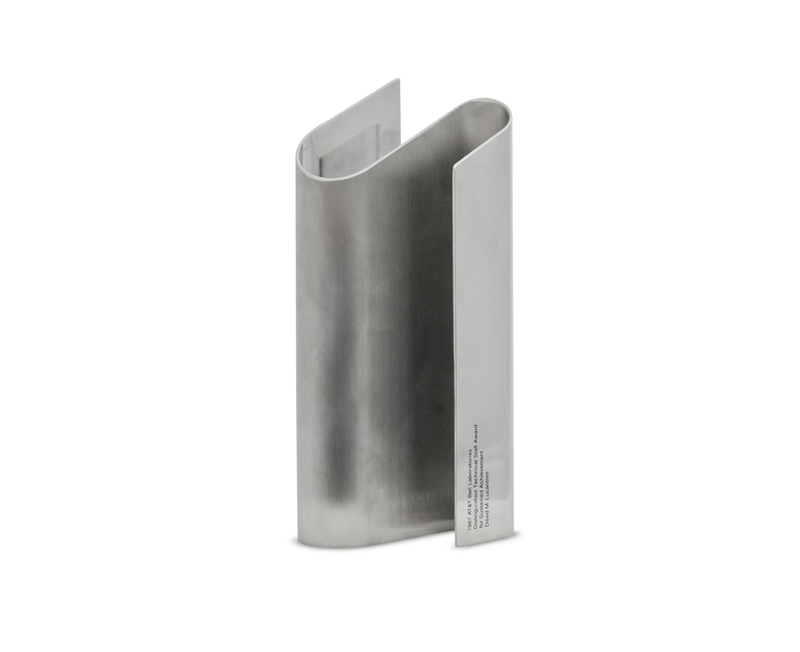 Only 120 patents have received this recognition out of over 30,000 active patents. Elected to Senior Member, Institute for Electrical and Electronic Engineers (IEEE), June 1999. 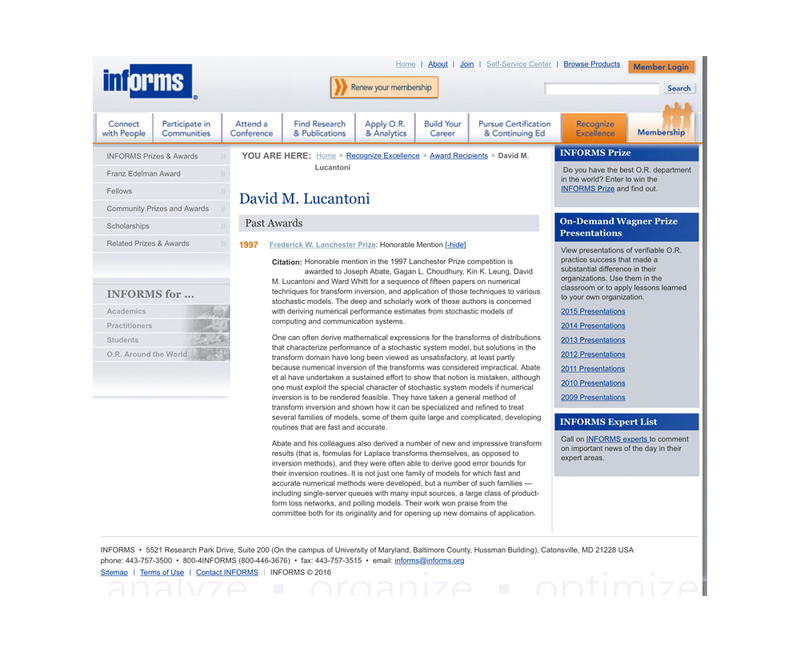 Co-recipient of an Honorable Mention for the 1997 INFORMS Frederick W. Lanchester Prize for the best-published work in Operations Research and the Management Sciences, 1997. Promoted to Distinguished Member of Technical Staff, AT&T Bell Laboratories, 1987. Subject of biographical record in Who’s Who in Frontier Science and Technology, and American Men and Women in Science, since 1984. 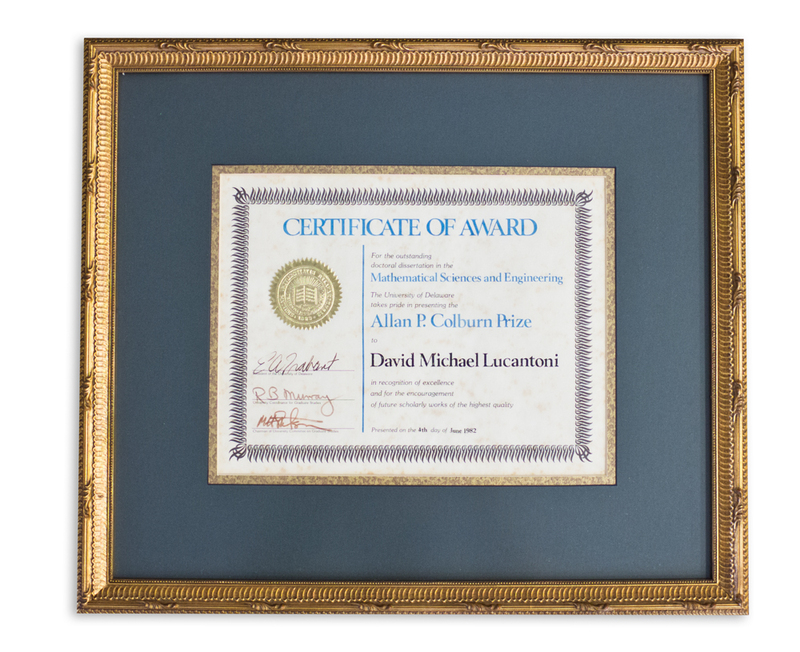 Allan P. Colburn Prize for the best dissertation in the Engineering and Mathematical Sciences, University of Delaware, 1982. Mary Hudson Scarborough Award for Excellence in Mathematics, Towson University, 1976.